Can you believe it? PowerCLI is closing in on a year of being in the PowerShell Gallery! We’re up to 20 different modules and, wait for it, over 2,000,000 downloads of those modules! As exciting as that is, there’s still quite a few questions on how to install PowerCLI to systems that do not have internet access. We’re going to take a much closer look at that with this post. Test-Path -LiteralPath "C:\Program Files (x86)\VMware\Infrastructure\PowerCLI\"
We’re now ready to download the PowerCLI modules. This task will require a system with internet access. This section has a couple of variables which depend on the version of PowerShell available on your online system and whether or not you’ve ever accessed the PowerShell Gallery previously by way of the PowerShellGet module. The easiest way to figure out which version of PowerShell you have is by using the PSVersionTable variable. Based on the output of that, follow the set of instructions below that matches the output. Copy those downloaded module folders to a location that can be made accessible to the offline system. Example: USB Flash Drive, Internal File Share, etc. If there’s a response, you have it already! If there’s no output, you’ll need to make it available. Depending on the output, follow the instructions below. 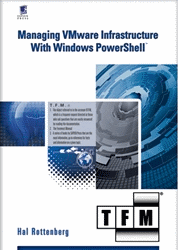 Download and install the ‘PowerShellGet’ module by way of the PackageManagement PowerShell Modules MSI. It’s now time to put the PowerCLI modules on to the offline system. To take advantage of the magic that is module auto-loading, we’ll want to copy and paste those downloaded folders in one of the locations listed in the PSModulePath variable. That’s it! Open a PowerShell session and start using your PowerCLI commands as you did before! Wait… It’s Not Working For Me! What happens when you go through the above instructions and it’s not working? The most common scenario we’ve come across is where the ‘Save-Module’ cmdlet was used with an online system that has PowerShell version 5.x. When this happens, there are an additional level of folders created between the top-level module folder and the module files themselves. This is extremely beneficial because we can then have multiple versions of the same module available on the local system. The issue though, older versions of PowerShell do not recognize those folders and therefore cannot load the modules. Good news though, there are a couple workarounds available! First option: Upgrade your version of PowerShell on the offline system to 5.x with Windows Management Framework 5.0. Second option: Find an online system that has PowerShell versions 4.0 or 3.0 installed and use ‘Save-Module’ on that system. Those two options are simple enough, but generally in an ‘easier said than done’ manner. With that said, I’m very excited to show off a third option. This option doesn’t require installing any software or powering on that older VM you hadn’t decommissioned quite yet. This option is a simple script that is run on the offline system. The script simply looks for the folders that already exist in any of the PSModulePath listed directories, searching specifically for PowerCLI module folders, and then removes that additional nested level of version-based folders. PowerCLI has seen a lot of success on the PowerShell Gallery. A set of modules with over 2,000,000 combined downloads is pretty impressive! However, there’s still a lot of questions over the installation process for systems that are offline. This blog post walked us through the offline installation process, covers the most common issue users hit, and provides a new solution to help overcome that issue. Don’t delay, upgrade your version of PowerCLI on all your systems to ensure you’re getting access to the most up-to-date features, performance improvements, and bug fixes today! This entry was posted in General and tagged Install, PowerCLI, PowerShell, PowerShell Gallery on January 18, 2018 by Kyle Ruddy. I still had the same issue using the same Windows 10 OS version (1703) on both offline and online. I wrote how I fixed it here: http://www.powershellcrack.com/2017/09/installing-powercli-on-disconnected.html. But now I wanna try Fix Nested folder script. VERBOSE: Hash for package ‘VMware.VimAutomation.Sdk’ does not match hash provided from the server. virus or potentially unwanted software. file contains a virus or potentially unwanted software. There is an on-going issue with Windows Defender and System Center Endpoint Protection clients.